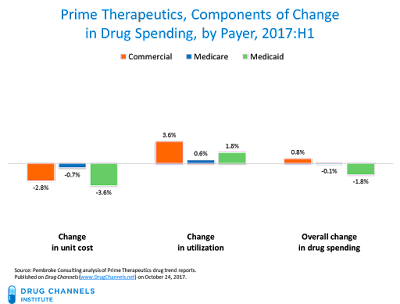 Prime Therapeutics, the fifth largest pharmacy benefit manager (PBM), has just released its first look at drug spending data for 2017. The results strongly contradict the public rhetoric about excessive growth in drug spending and prices. Prime analyzed three groups of third-party payers: commercial (employers and health plans), Medicare Part D, and Medicaid. For all payers, overall drug spending growth was negligible—below 1% or negative. Post-rebate costs for traditional drugs declined compared with 2016. Specialty drug costs grew by only 3.7% for commercial payers and declined for Medicaid. Utilization—more people taking more prescriptions—was more important than pricing for drug spending growth. The data demonstrate that public perception of outrageous drug spending growth has not caught up with 2017’s realities. Sorry to be the bearer of non-fake news. Alas, I am probably naive to believe that these facts will cause our politicians to transform their thinking before complaining, tweeting, or bloviating. Prime compared drug trend—the year-over-year change in drug spending—for the first half of 2017 with that of the first half of 2016. It published separate reports for the following different third-party payers. As always, I encourage you to review the source materials for yourself. Note that Prime's commercial book of business includes people with employer-based health insurance as well as those who purchased insurance via Health Insurance Marketplaces (HIM). 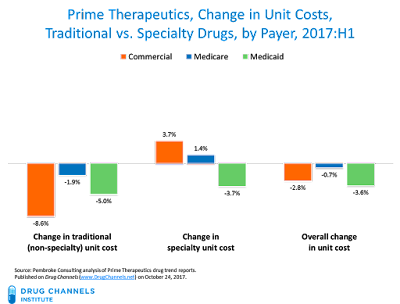 Change in unit costs—the payer’s net cost per unit of therapy. Unit costs vary with: 1) the rate of inflation or deflation in drug prices, 2) shifts to different drug options within a therapeutic class, 3) a shift in mix of therapeutic classes utilized by beneficiaries, and 4) the substitution of generic drugs for brand-name drugs. Prime includes discounts and rebates in its measurement of unit costs. Change in utilization—the total quantity of drugs obtained by a payer’s beneficiaries. Utilization varies with: 1) the number of people on drug therapy, 2) the degree to which people adhere to their drug therapy, and 3) the average number of days of treatment. 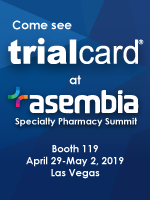 Prime measured utilization as the rate of change in utilization per member based on 30-day equivalent prescriptions. The three Prime reports also deconstruct drug trend into the components associated with traditional and specialty drugs. The chart below summarizes the drug trend figures for the three different payers for the first half of 2017. As you can see, commercial payers experienced extremely low single digit growth (+0.8%) in pharmacy benefit drug spending. Utilization grew by only 3.6%, while unit costs declined. Meanwhile, Medicaid and Medicare Part D saw year-over-year declines in drug spending due to lower drug costs but slightly higher utilization. The charts below summarize the traditional (non-specialty) and specialty drug components for unit costs and utilization. 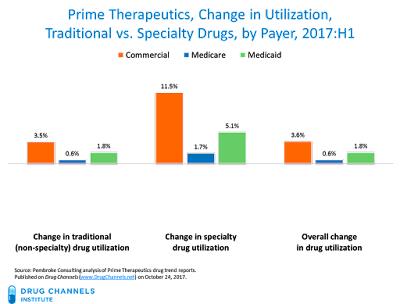 Utilization grew for all payers for both traditional and specialty drugs. Greater utilization lowers broader healthcare costs. Growth in utilization—the number of prescriptions dispensed—was a bigger factor in spending than growth in unit costs. The biggest increase was the use of specialty drugs by Prime’s commercial clients. The HIM population, which is part of Prime's commercial business, had larger utilization increases than did the non-HIM population. 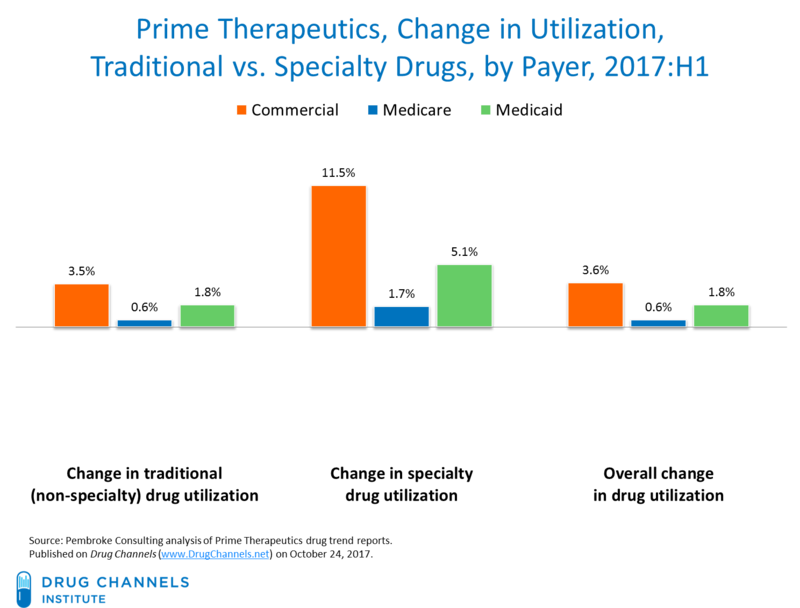 Prime also told me that the autoimmune and cancer (oral) categories accounted for more than 60% of specialty utilization in its commercial business. For the first half of 2017, those two categories experienced utilization increases of about 15% and 13%, respectively. Meanwhile, net unit costs for traditional drugs declined for all payers, by -1.9% to -8.6%. Net costs for specialty drugs grew by only 3.7% for commercial payers and by a more modest 1.4% for Medicare Part D. Unit costs for specialty drugs declined for Medicaid. These results are especially notable because list price inflation was about 9% for specialty drugs. These data confirm the trends that began in 2016. Drug spending is not actually "out of control." See Which PBM Best Managed Drug Spending in 2016: CVS Health, Express Scripts, MedImpact, or Prime? 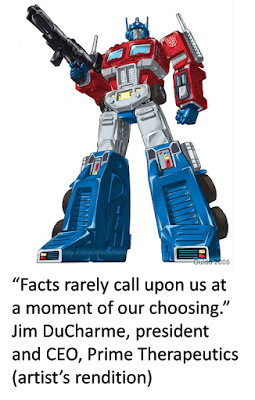 Just like the Transformers, there’s more to drug spending than meets the eye. 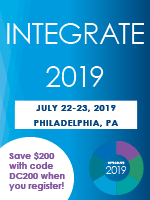 CORRECTION: In an earlier version of this article, the labels for "Change in unit cost" and "Change in utilization" were switched in the first chart for commercial payers. We apologize for the error.